Nike’s FlyBeams, which the company says stiffen the cavity back of the club. A re-engineered Compression Channel that accentuates the spring-like effect across the face to return energy to the golf ball. FlexLoft 2, which allows a player the functionality of five lofts and three face angles within 15 different settings. 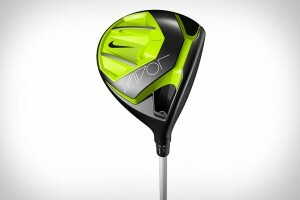 Nike Golf says each of these was developed to drive more energy to the golf ball for more distance, no matter the swing. That’s an interesting concept, as is the club’s street price of $499 – some $100 more than most new drivers that will be on the market in the next several months. It’s Jan. 30 availability date is also a a couple months behind that of other new drivers. In other words, the Nike Vapor Flex might have the technology, but is it enough to overcome the price and later delivery?